View between Ram Island and Harbor Island from our front lawn. Seven waterfront Rhode Island Cottages are located on 63 secluded acres in the heart of Rhode Island's vacation resort area, and each Rhode Island Cottage provides both the tranquility of a country setting and the proximity to a full range of activities and events to make yours the perfect vacation at a Rhode Island Cottage Rental. 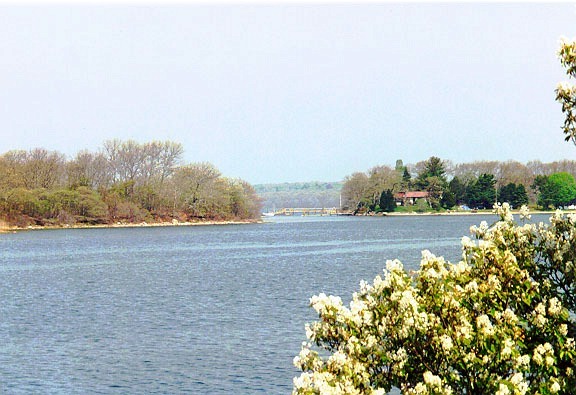 The primary view of the Rhode Island Cottage Rentals is across the water toward Ram Island. There are many nearby activities near these Rhode Island Beach Cottage Rentals. We invite you to come and experience the most serene and peaceful Narragansett Summer Rentals. To save time, check out our Availability List first before reading the various descriptions of our cottages and other information.